Franchisors and franchisees alike are increasingly turning to cloud services for franchising to operate their companies more efficiently. While the term ‘cloud computing’ is new, the concept of sharing by multiple businesses and locations via secure remote centralized datacenters has been around since the mid 1960s (someone say ‘time-sharing’). In the full sense, cloud computing today underscores a paradigm shift from local office computing systems that are on-site to a “utility computing” model in which shared and scalable computer infrastructure, software and business processes are provided via the Web for a monthly or annual fee. both sides of the franchise equation? Increasingly the preferred mode of cloud computing for many SMBs is via a fully managed Cloud9 private virtual server in a highly scalable custom franchise cloud environment, so that you can pay for what you need and use versus a large investment in traditional local office server infrastructure that you might grow into (but probably won’t). The franchise system cloud computing model is similar to the shift that occurred several decades ago when manufacturing plants switched from a business model wherein each location provided its own electricity source (e.g., a generator) to a utility-based model whereby power is provided by a shared utility source located remotely and distributed as needed. Access Anywhere/Anytime. Franchise operators, managers and staff can use these private dedicated cloud based resources anywhere from any Web connected device to get the data that is needed. Accounting, production and customer information can now be accessed in real time. This is particularly advantageous for an operator with multiple businesses or locations to analyze comparative views of all business sites. 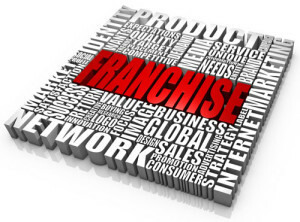 Cloud services for franchises can greatly improve employee and team collaboration, as well. Integrated Applications. Without cloud computing many franchise systems have disparate software and operating systems that do not synchronize or otherwise communicate well with each other. This inevitably leads to expensive inefficiencies and a reduced ability to make critical data analysis. Flexible & Scalable. With franchise system cloud computing new users and locations are easily added sans the traditional big upfront outlay. Most cloud computing providers charge on a per user basis. This dramatically reduces fixed costs as the business grows. Additionally, the newest updates to software systems are always available without any additional cost-basis or migration issues and ancillary fees. This is a major cost saving compared to the pre-cloud computing age, when many businesses needed to make large IT investments to purchase servers and network infrastructure, while hiring IT technicians to maintain it. In addition to freeing up room on the hard drive, franchise cloud computing offers the convenience of synchronizing data from different devices including desktop computers, smartphones and tablets. VOIP Unified Telephony. With a cloud-hosted office telephone solutions like Crexando, franchise system cloud computing users have a single telecom system available at all of their locations. This provides seamless communications and transferance of customers across multiple locations. This is equally effective for remote and BYOD staff who will now function as though they are all at the same place. Increased Security. Retail businesses are especially vulnerable to high employee turnover and risk of theft. With franchise cloud computing, business owners are assured that all access to data is safe, safer by far then with an office-based server network. Permissions (who has access to what data across the franchise) can easily be more carefully planned and administrated. In addition, data in franchise system cloud computing systems are always backed up and secure against any local disaster (storms, fire, etc.). The most common use of franchise system cloud computing systems are VOIP solutions, accounting programs like QuickBooks and Sage, other back office and customer relationship management (CRM) systems . What do data owners and employees need to have access to? What the cost of separate IT infrastructure and maintenance for our locations? 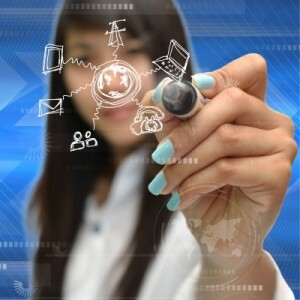 How much customization is required for new software applications? Where is the fastest ROI to be achieved? Remember us, Cloud9 Real Time garnered more SMB cloud computing and virtual server awards in 2012-13 than most all of its competitors combined. Request a quote, a demo, or a free trial and discover first hand what all the excitement is about!